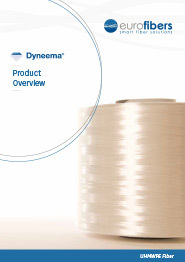 DSM is the inventor and manufacturer of Dyneema®, the world’s strongest fiber™. Dyneema® is a versatile, low-weight, high-strength High Modulus Polyethylene fiber that offers maximum strength combined with minimum weight. On a weight-for-weight basis, it is up to 15 times stronger than steel and up to 40% stronger than aramid fibers. Dyneema® floats on water and is extremely durable and resistant to moisture, UV light and chemicals. Its applications, therefore, are more or less unlimited. 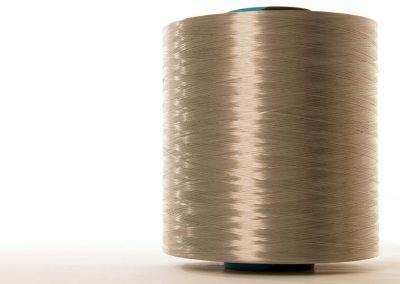 Dyneema® fiber is an important component in not only body armor, but also ropes, cables and nets in the fishing, shipping and offshore industries. It is also used in safety gloves for the metalworking industry and as fine yarns for applications in sporting goods and the medical sector. Contact us now and find out what Dyneema® can do for you. 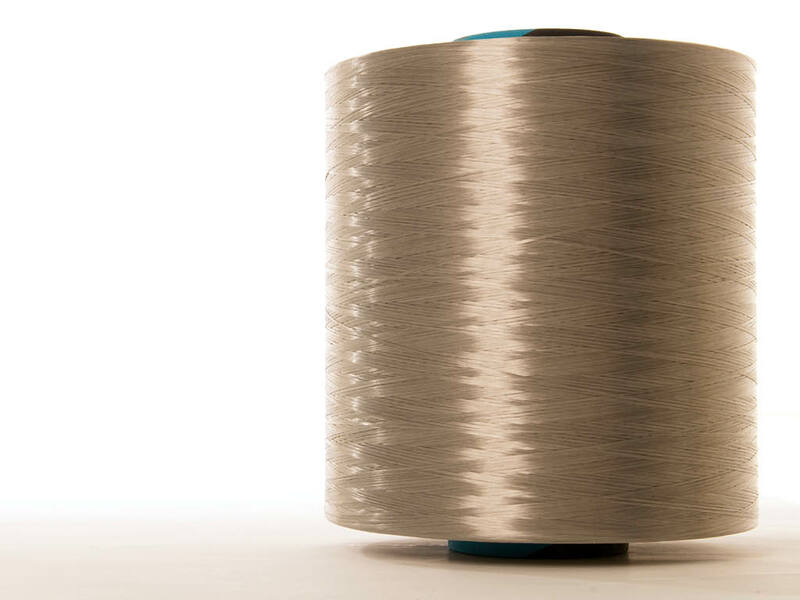 Over the years, the Dyneema® fiber has proven its value in many market segments, including life protection, aviation, marine, offshore, fishing, sports, cut protection and medical because of the following high-performance characteristics. 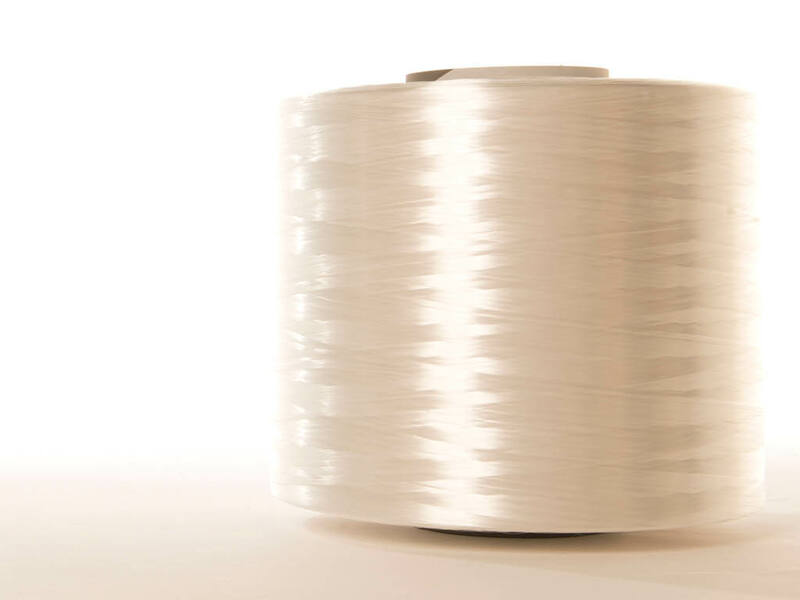 The Dyneema® fiber originates from an Ultra High Molecular Weight Polyethylene solvent spinning process. Stretching the fiber introduces molecular alignment and a high level of crystallinity. Having a density of less than one provides the basis for the fiber’s light weight and high strength, as well as for its low elongation. Diameter for diameter, the strength and elongation of products made with Dyneema® are comparable to that of steel, with only 15% of the weight. 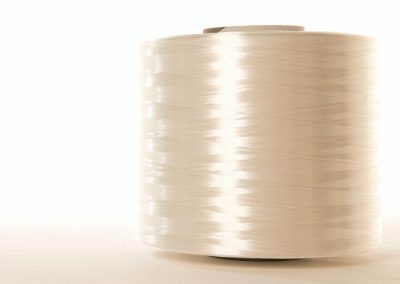 In marine and industrial applications, Dyneema® is the fiber with the highest strength-to-weight ratio. 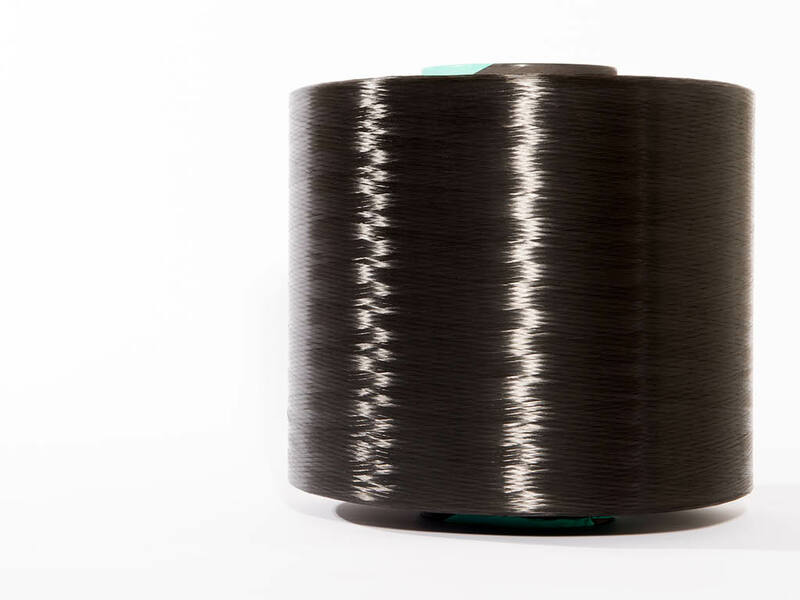 Also, the low-friction properties of the fiber protect it from internal abrasion, resulting in long service lives in rope tensile- and bending fatigue testing. Like other synthetic fibers, the mechanical properties of UHMWPE fibers are influenced by temperature. The strength and modulus increase at sub-ambient temperatures and decrease at higher temperatures. 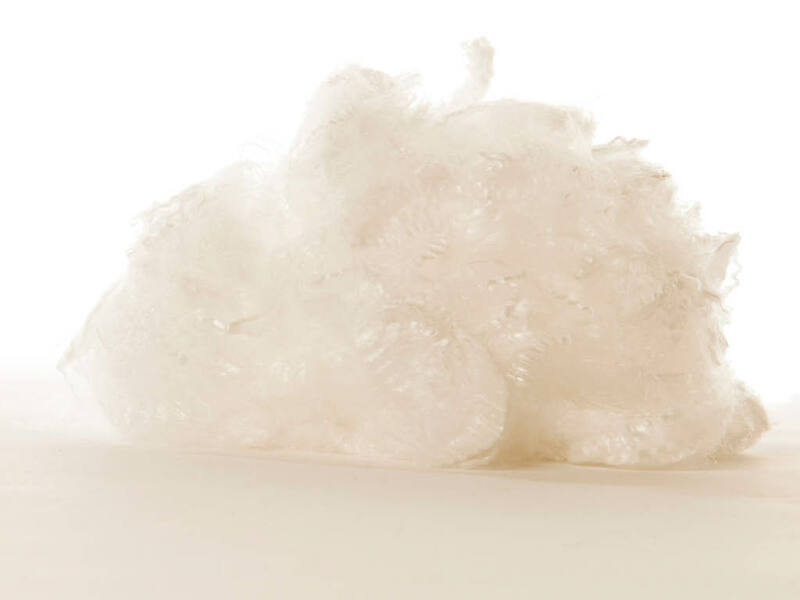 For long duration exposure UHMWPE fiber from DSM can be used from cryogenic conditions up to a temperature of 70°C. Dyneema® fiber has a melting point between 144oC and 152oC. The tenacity and modulus decrease at higher temperatures but increase at sub-zero temperatures. There is no brittle point found as low as -150oC, so the fiber can be used between this temperature and 70oC. Brief exposure to higher temperatures will not cause any serious loss of properties. With increasing static load and temperature, the Dyneema® fiber elongates irreversibly. This is called creep. Among the commercial available HMPE fibers, Dyneema® shows the lowest creep with the longest creep life. DSM has developed a widely accepted model for accurate creep calculations. These calculations support the search for applicability of the Dyneema® fiber in most applications. UHMWPE fibers have a high strength and a high modulus (resistance against deformation) in the fiber direction. In combination with the low density this results in an extremely high strength on weight basis, making it one of the strongest man-made fibers. The elongation at break is relatively low, but owing to the high strength, the energy to break is high. In contrast to other synthetic fibers, the mechanical properties are not influenced by the presence of water. Due to the anisotropic nature of high modulus polyethylene fibers, the modulus and strength in transverse direction are lower than in fiber direction. Subjecting UHMWPE fiber to long-term static loads leads to a permanent elongation called creep. The UHMWPE fiber types from DSM have a higher creep resistance than other UHMWPE fibers enabling their use in various static loading conditions. UHMWPE fiber is very resistant against chemicals. Because it is produced from ultra-high molecular weight polyethylene, it does not contain any aromatic rings or any amide, hydroxylic or other chemical groups that are susceptible to attack by aggressive agents. Polyethylene is an insulator and has no groups with dipole character. After scouring, the UHMWPE fiber is characterized by a high electrical resistance, low dielectric constant and a very low dielectric loss factor. UHMWPE fiber has a high sonic velocity. In the fiber direction, the sonic velocity is higher than in the transverse direction. The acoustic impedance, the product of density and transverse sonic velocity, is near that of water.  UHMWPE fibers are visually opaque. The fiber is invisible to an UV-light source due to the low UV absorption coefficient in combination with no fluorescence or phosphorescence. It is also invisible for thermal imaging devices because of its low IR absorption coefficient and high thermal conductivity. The low reflectivity of radar waves results in a reduced visibility for radar sources. The refractive index axial to the fiber axis differs from the transverse direction making the fiber perform birefringence. Fabrics and panels produced from UHMWPE fiber from DSM have passed various standards on flammability. Like any other synthetic fiber, it will burn slowly if ignited in atmospheric conditions and it is qualified as being self- extinguishing upon removal of the flame. Applications with UHMWPE fiber from DSM have a higher resistance to repeated axial loading than other fiber types. The fibers combine high strength with high fatigue resistance, even if the loading is partly in compression as in repeated bending of rope applications. 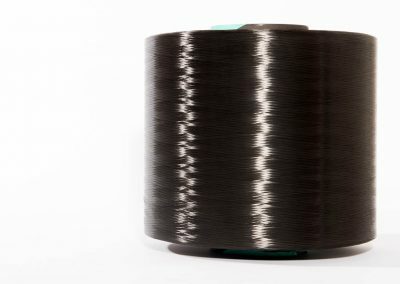 Despite its high modulus, the fibers are flexible and have a long flexural fatigue life. Because of the low friction coefficient and good abrasion resistance, internal abrasion of ropes is usually negligible. Polyethylene is regarded as biologically inert. The UHMWPE fibers from DSM are IARC classified 3 (not classifiable carcinogenic to human) based upon its length weighted geometric mean diameter. This diameter is too large to produce respirable fibers, meaning they will never reach the deeper part of the respiratory tract and fibrogenic or carcinogenic effects on the lung will not occur. UHMWPE fiber from DSM has excellent biological resistance. The fiber neither stimulates undesired growth nor is sensitive to any attack by microorganisms. UHMWPE fiber is used in various outdoor applications under harsh weather conditions. In air the fiber is stable for many years. No special precautions are necessary during processing or storage. Only strong oxidizing media are able to attack the mechanical properties. Compared to other high tenacity fibers, long term exposure to UV shows the lowest decrease in strength and elongation at break. The use of products made with Dyneema® seems to be unlimited. New products and new markets are continually being explored and developed. The high technical demands for these products are translated in application development projects taking place in our well-equipped technical lab to improve our products or develop new products. DSM application engineers are putting a lot of effort in improving our current products and solving the challenges of the markets.